Right now as I look back, its not the numbers that matter to me but the evolution and the experience itself. I got to know an amazing bunch of people through blogging. They inspire me. teach me and be there during my happy times and also at the times of despair. Some live in various parts of the world, many whom I never met but they are just a phone call or an email away!. Wow, can such virtual relationships sustain over time? Apparently yes. I am eternally grateful to God for sending them to me. You know who you are and Thank you for your love and for just being a part of my life. A birthday is never complete without a cake. Isn't it? 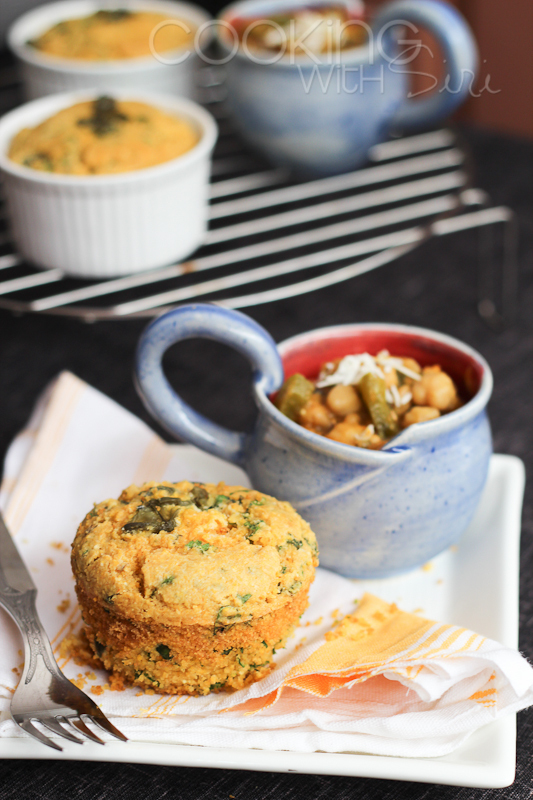 But, for today I made few quick Jalapeno Corn Bread Muffins served with Vegetarian Chilli. 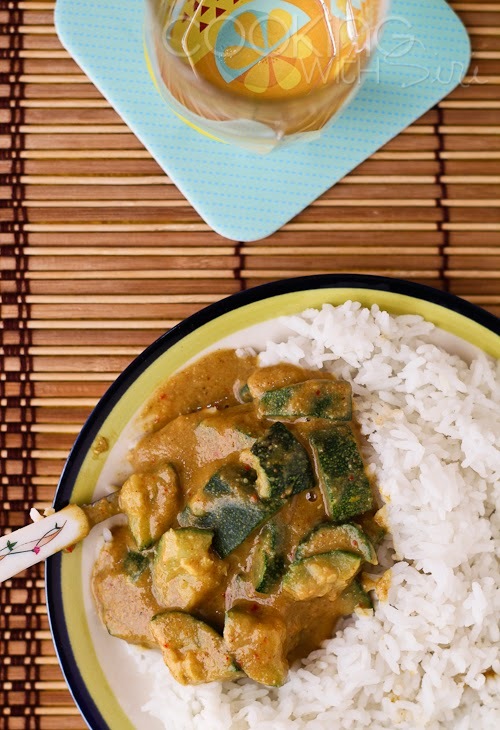 It is a combination I very much miss since we moved back to India, so I thought what better occasion do I need to feature these two recipes on the blog. As a way to say Thank you for your affection and support over all these years, I planned a few exciting giveaways for you all. Enjoy! 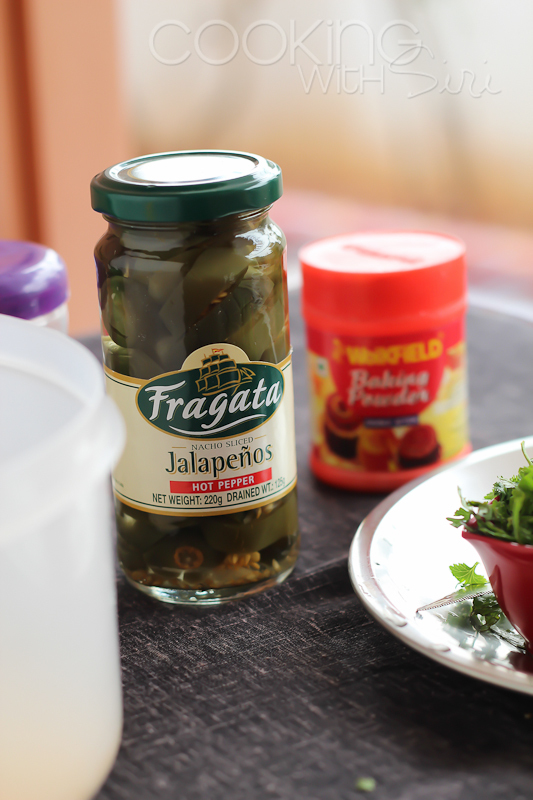 I used bottled jalapenos for the recipe. Step 1: Pulse cornmeal until smooth texture. 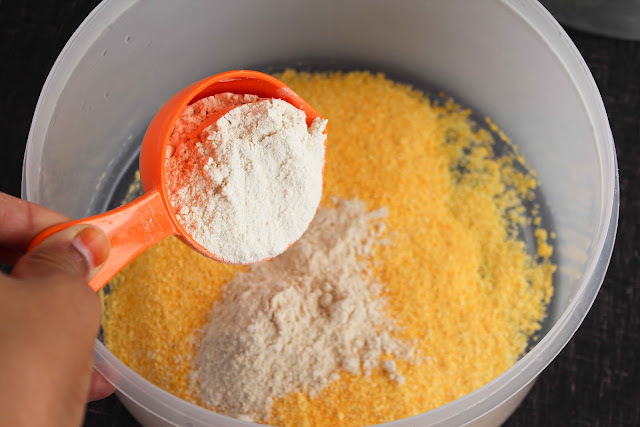 In a mixing bowl, add cornmeal, whole wheat flour, baking soda, baking powder and salt. Mix. 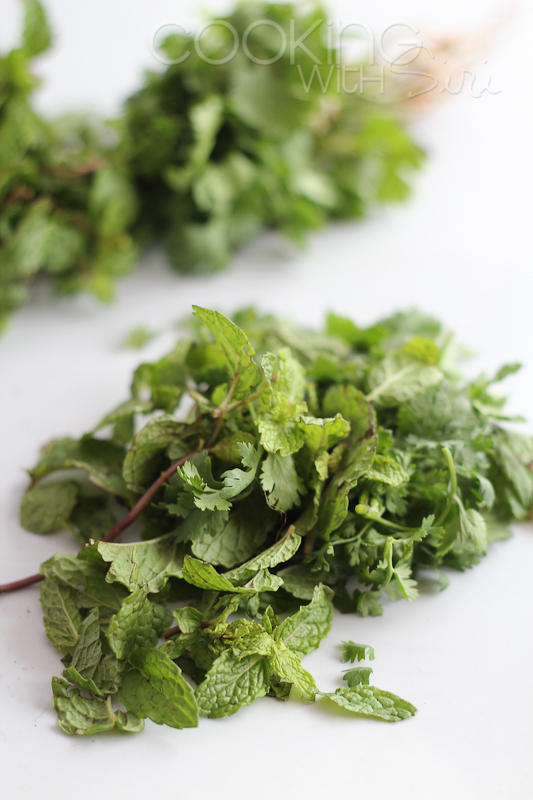 Step 2: Add herbs and jalapenos to it. 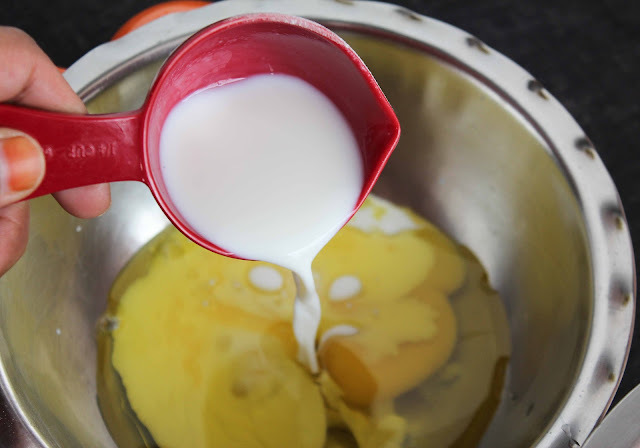 Step 3: In an another bowl, beat together - egg, olive oil and milk. Step 4: Add wet mixture to dry ingredients and gently mix everything. 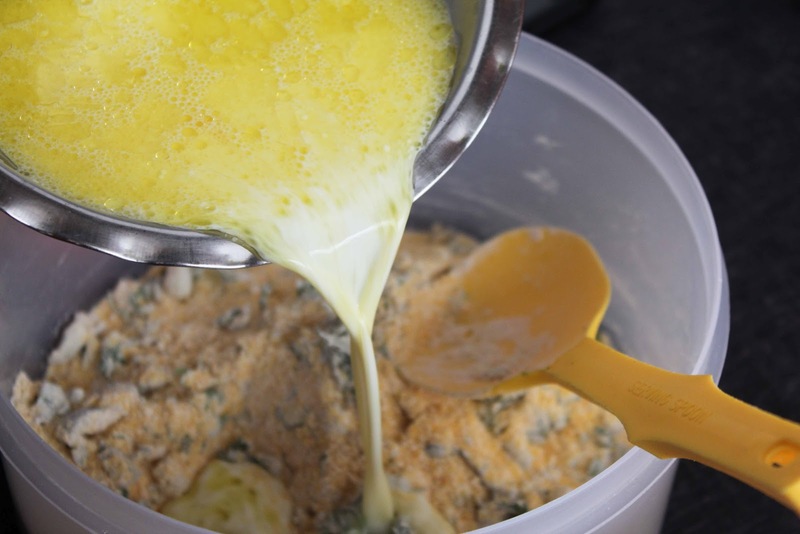 Step 5: Preheat oven to 180 C or 350 F. Grease ramekins with olive oil and pour 3/4ths with batter. Top with some chopped jalapenos if desired. Bake for 18-20 mins until a toothpick or skewer when inserted in the center comes out clean. Rest for 10 mins. Step 6: Run a knife around the edges and carefully unmold. 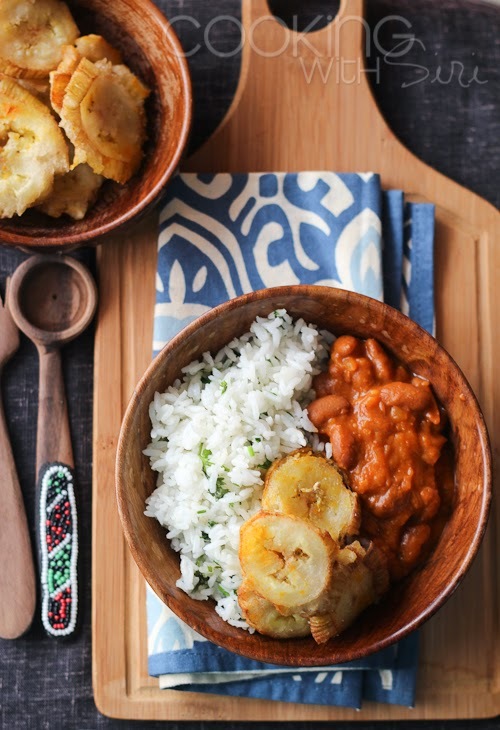 Serve as a side accompaniment with soups, stew or chilli (recipe below). Wrap the rest of the muffins in a plastic cling to prevent from drying out. Microwave for few seconds and they are as good as fresh. 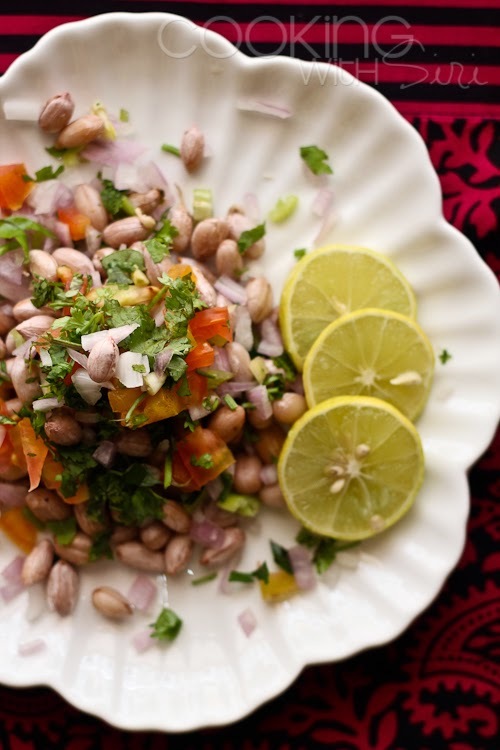 3 cups boiled beans - I used chickpeas, black eyed peas, pinto beans and soya beans. 1. In a big pot, heat olive oil and saute onion and garlic for few minutes. Add carrot and peppers. Cook until soft. 2. Stir tomatoes and beans. On a low heat, cook for 3-4 minutes. Season with salt, chilli and cumin powder and pepper. Add water and continue cooking by stirring once or twice in the middle for 30-40 minutes. 3. Top with grated cheese and Serve hot with cornbread. Save left overs in refrigerator or freeze. 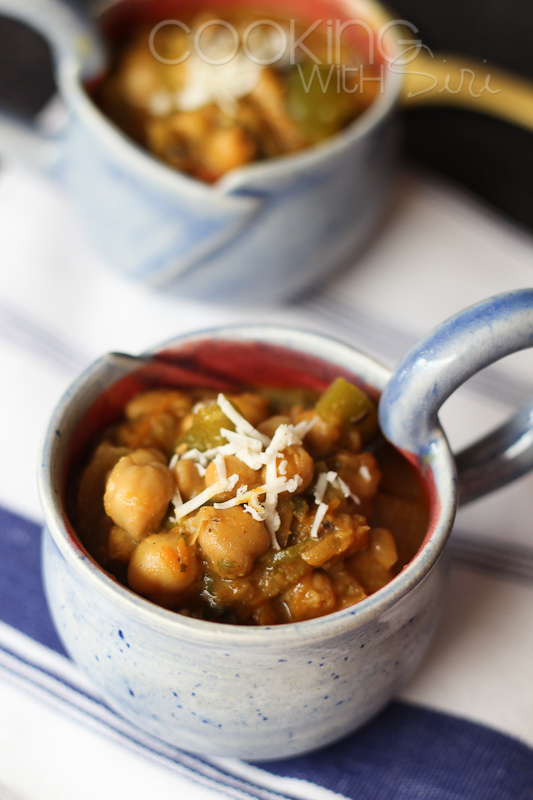 Sending this Vegetarian Bean Chilli as entry to My Legume Love Affair # 50, hosted by Susan this month. Now for the fun part. To celebrate the blog-o-anniversary, I have some goodies for you all. Just like before, there are two giveaways. One for Indian readers and other for rest of the world. For Indian readers - A chance to win a pair of "Mended" Stoneware Mugs, hand crafted by Rekha Goyal, a Mumbai-based sculptor. I purchased them a week ago on Shopo and loved them very much. The mugs are microwave proof, oven proof and are beautiful as food props. Along with these, there is also a Rs 1,000 Flipkart gift voucher up for grabs. One winner will be randomly chosen for both the giveaways. For readers from outside India - You guys have an opportunity to win a $50 Amazon gift card. Yay! 1. Leave a comment on this post. As simple as that. It is important to mention your country - so that you are entered for the respective drawing. If you are already liked me on facebook, following on twitter or subscribed to RSS feed, just leave a comment letting me know and you are entered in the giveaway automatically! These giveaways are open for everybody, You don't have to be a blogger to win them. Last date for participation is August 31st 2012 midnight IST and two winners randomly picked will be announced on September 1st 2012. . Enter and Win. All the very best. Thrilled to be the first one to send you my congratulations for the anniversary. I find it amazing too, that I've been writing my blog for 5 years and also that a good number of the blogs I follow are about the same age: what was about 2007 that made us embrace this medium? Love the mugs and what's inside them and the cornbread muffins. I've been making a lot of cornbread recently and really like how it goes well with many dishes. Many happy returns of the day, dear Siri, and thanks for keeping us posted on the disbursements to the ashram. Thanks Simona. Congratulations on your 5th year of blogging. Guess we are the batch of year 2007 who coincidentally started at the same time. It is great knowing you and your blog. Hugs. Many congratulations. Wish you many more happy years of this food-love journey. The post itself has a festive feel about it. I love those cups with the bean chilli and the cornmeal bread. would love to try them both. Five years is a great milestone Siri :) The cornbread looks amazing and the pictures are too good! Love those mended mugs. Following you on FB, twitter and Google Reader. Congrats Siri! It's been wonderful going on this food blogging journey with you, meeting you in MV, having that long chat in Sakshi's car as we dropped you.. and many more :) Your pics are amazing these days, you seem happy to be back home in India and that fund drive you did really made me move my behind and do something to give back. Kudos and here's to many more years! the MV meet was memorable for me as well Nags for so many reasons. I am glad we all could make it that day!. I simply wish for more such moments. I never felt this happy and contented before. I didn't know just being around with family can make so much difference. :-) I like the way you said - "I am in it to win it". So cute. I really wish you do!. Thanks for being YOU babes. Hugs right back. Congrats, Siri. Like I said, you do have a lovely space here and here's wishing you a lot more fun in years to come. Congratulations, Siri! It never hit me till you said it, five years is half a decade. I'll be six next month. Don't enter me for the drawing, please. Just came here to wish you. W.O.W, Did you say 6 years? Now you have a bigger celebration than me. :D. Congratulations Sra. You are one of the few blogs whose wittiness and humor shines through all your posts. It was so nice to know you over these years. I am happy you feel that way Devi. 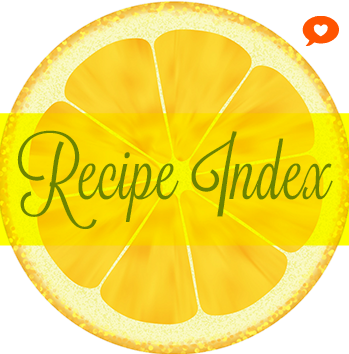 Do check out the recipe index for many ideas. Thanks. CongratsSiri!! Great going with ur space and urs is one of my most favorite blogs :) Keep it going and here is wishing many more such achieving yrs of blogging!! You are so sweet Sharmi. Your tutti frutti cake is still a hit in my family & friends. Thanks for posting such keeper recipes!. And I like you on Facebook already! Hi Siri, It must be an awesome feeling to have reached 5! And what a space you rock! Hearty wishes for this achievement and for more milestones! apna hyderabad ka phone number bhej na... will call atleast. Hi Siri, Congrats for your great milestone, Best wishes for many more to come! I used to think all this food blogging is piece of cake but when I started to one for myself recently I realized the effort needed to keep it going! 5 years is great milestone to celebrate! Very nice Clicks! It is different dish and looks so yummy! With love and prayers that you reach the greatest heights in the world of cooking. 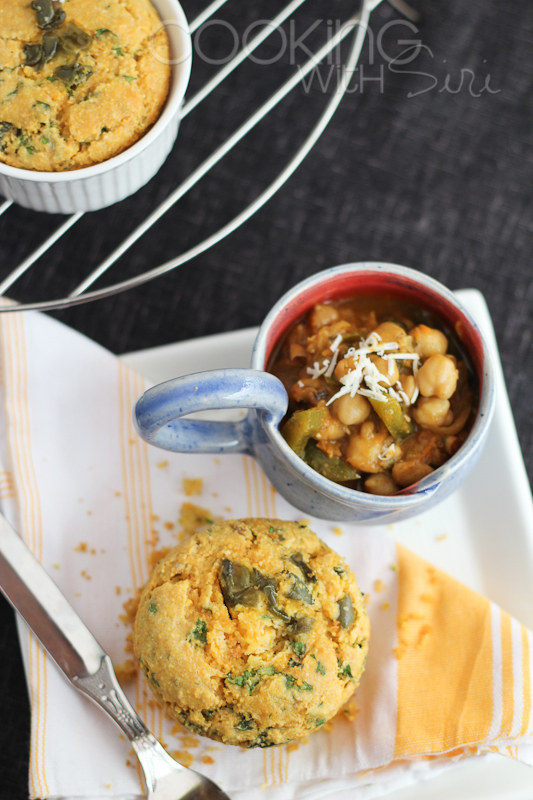 Congrats siri for this milestone..I wish you many more blog anniversaries...I love this combination of corn bread-chili..needless to say those mugs looks delicious..i m already following u on FB..
Congratulations Siri...5 years is a big milestone ! 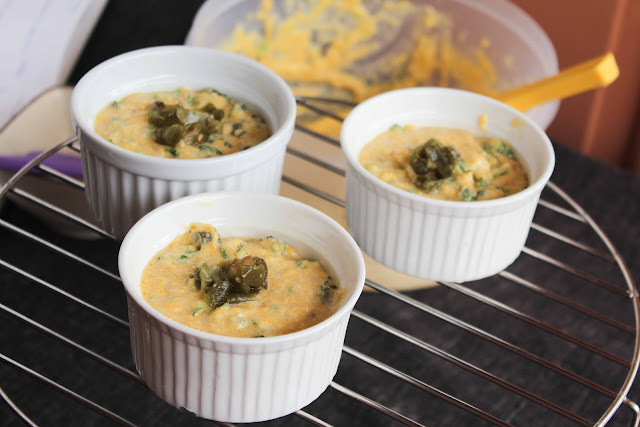 I love those blue little mugs, too cute...Want to try those muffins, should be really yum with jalapenos. Also, want to congratulate your for the wonderful initiatives you have taken to help girls at Vaidehi ashram. I 'like' you on fb :) and subscribe to your posts. Congratulations Siri! How time flies. Been following your blog for a while now and feel so inspired. I love the crockery you've used, so beautiful (Rekha Goyal I understand, it's just awesome. Wow! 5 years in blogging World..something great:-) Congrats on your milestone Dear. Hope to see many more delicious recipes in the coming years. Cornmeal with jalapeno is a delicious combo. Must taste great. Thanks for sharing a wonderful recipe. I live in India. Have subscribed to your blog and already liked your FB page. Now following you on Twitter too! lovely corn bread, can I make them with out the eggs? Congratulations!! Wishing you many more wonderful years of blogging!! Those looks Ohh so yum, fabulous clicks too Siri. Lovely read tat was, felt as if you were there while I was reading. Congrats on the 5th Anniversary and Wishing you many more years of blogging, Best Wishes!!!! Heartiest Congratulations gal; 5 years of etching your heart and hearth adventures is no mean feat. Wishes for many more milestones in all your endeavors. A tasty way to celebrate and the giveaway is smashing. Loved the mended pot-how cool is that ? I already like your FB page and am following your tweets too. Your posts warm my inbox for quite some time. BTW,I live in India . Hey tweeted about this giveaway too- cheers ! I'm a follower in the United States! Congrats! I also liked your Facebook page. Sarah from the United States. Congrats for completing 5 years. 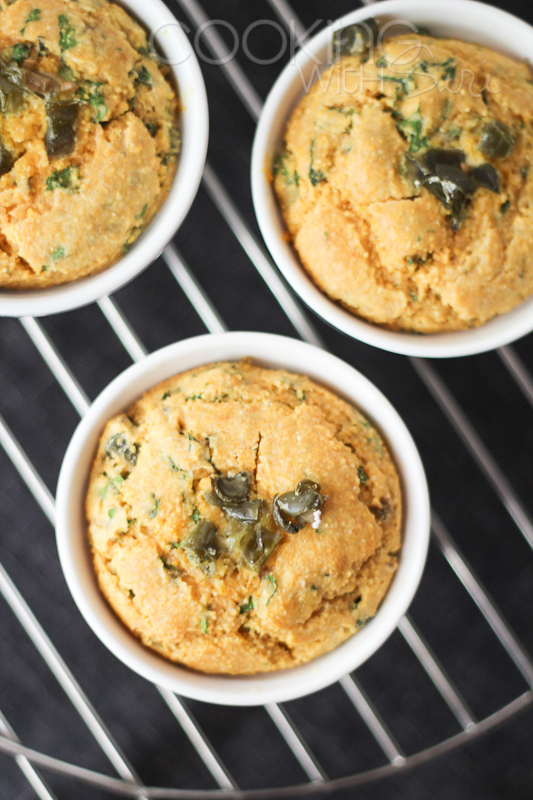 I love the idea of savory cornbread muffins. I have already subscribed to your feed via gmail. I have liked you on facebook and twitter. I have also added a tweet on my tweeter( terter10). I am from Shimla, India. The Cornbread Muffins look good. I'm from USA. Subscribed,liked and following your blog since so many days..
Congrats Siri.This 5 year old journey is indeed a very tasty one, rite :).Lovely recipe and cute mugs. Five-year milestone... wow! Cheers to five more years from the USA. 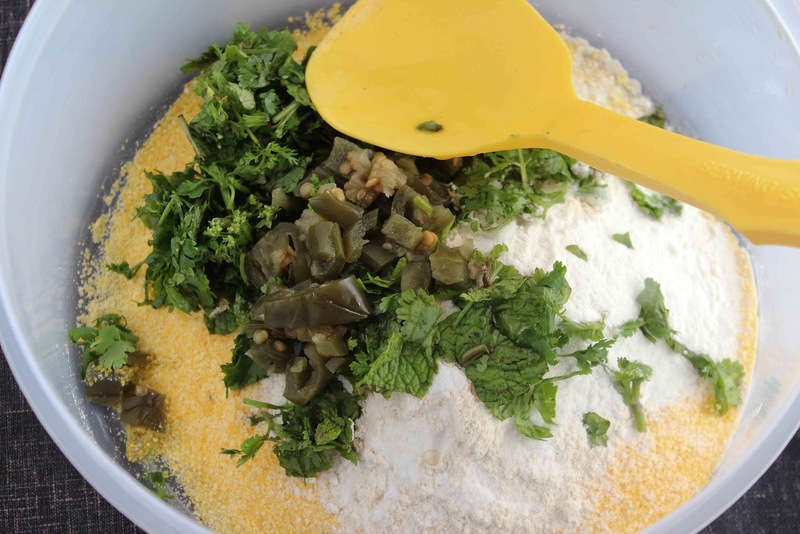 This cornbread looks delicious, I HAVE to try it! 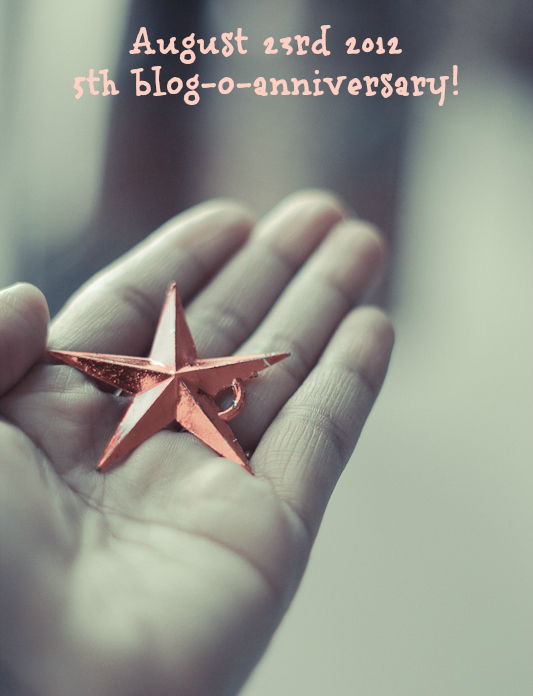 Congrats on your five-year blogiversary! The muffins and chili both look really tasty :). From a reader in the United States! Congrats! 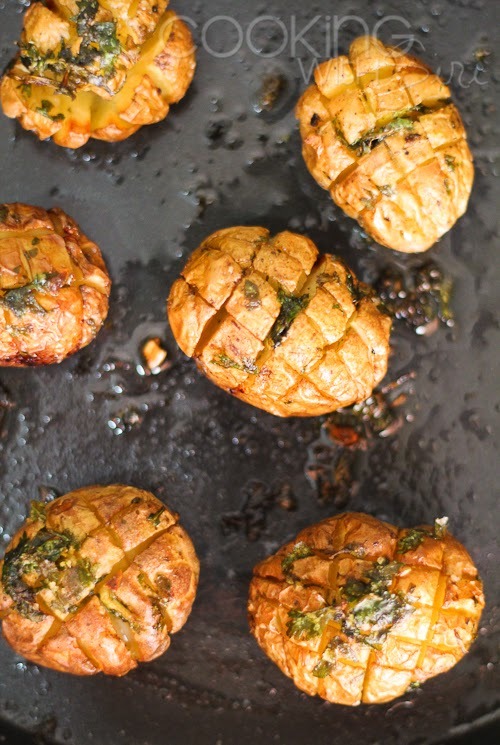 your recipes are inspiration not only to try new things, but to get up and DO the cooking! Congratulations on 5 years Siri. It's been lovely to know you offline too... can never forget the array of food at your wedding! the first blogger wedding i attended! thanks for trying out my recipe and am so glad you liked it enough to make it! i think i qualify for the giveaway because i'm already doing all that has been asked! love the stoneware cups.... goodluck and love always! The recipe looks great! And I know a think or two about cornbread (EEUU). Congratulations on your blog-o-anniversary (USA). It's not often you see the name Siri - I just lost my sister-in-law to cancer this week and her name was Siri. What a coincidence in finding your blog! Jalapeno flavor muffin looks so soft and delicious. Oh god, that's a big hi five... Bonne Anniversary..! I wonder how the subscription email went to spam folder. Luckily I checked on FB and came to know.. And yes, those gifts are lovely and enthralling..! 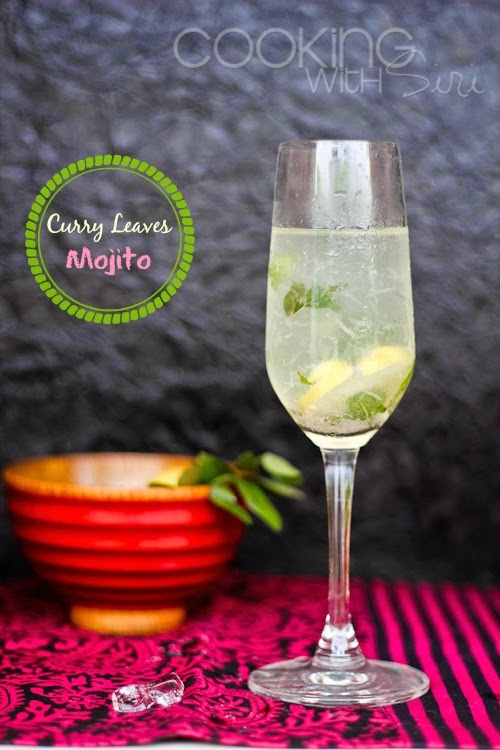 Its great to follow a food blog and have quick check anytime you have doubts..! Wishing you all the best in your cooking , blogging and experimenting ventures. Wishing you all the best for future ventures in blogging, cooking and experimenting.. I commented already but forgot to mention my Country! I am in India and I liked you FB page, I follow you on twitter and I also subscribed to your feed! Happy Bloganniversary and congratulations on the 5 years! Wonderful fod. Both the chilli and muffins look amazing! I already follow you on FB and Twitter. I suscribed to your feed! I already follow you on Twitter, and have liked your FB page! But this flavor combo sounds delicious! Congrats on 5th blog anniversary Siri.. I just did all the above mentioned to be eligible for the giveaway..
Hi Siri, Congratulations on the blog anniversary! Congratulations on entering 5th year. I am already subscribed to your RSS feeds. Thank you for your delicious and nutritious MLLA 50 contribution. I've always been a fan of vegetarian chili with the traditional accompaniment of cornbread. Your recipes are a great contribution to the combo. The round-up will be online soon. Apologies for the delay.